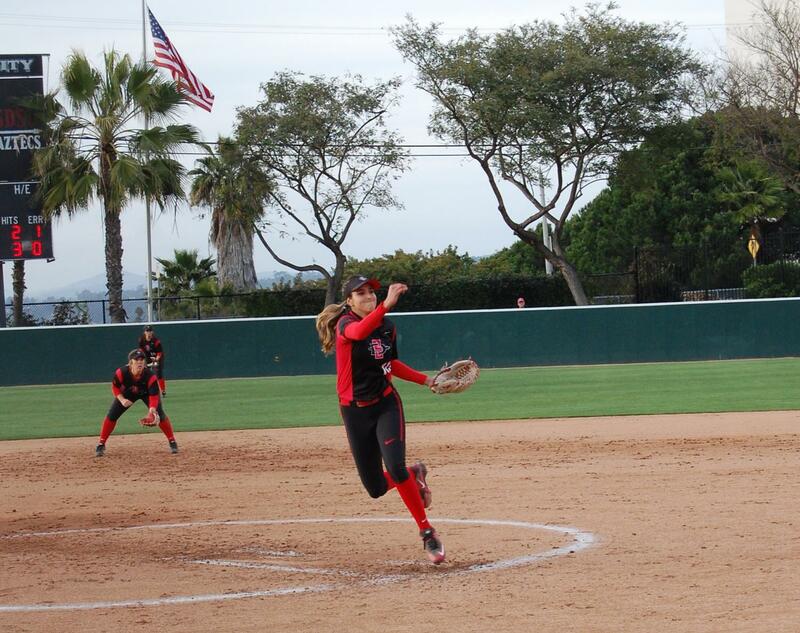 Junior pitcher Julie McDonald throws a pitch during the Aztecs 3-1 loss to Boise State on March 30 at SDSU Softball Stadium. 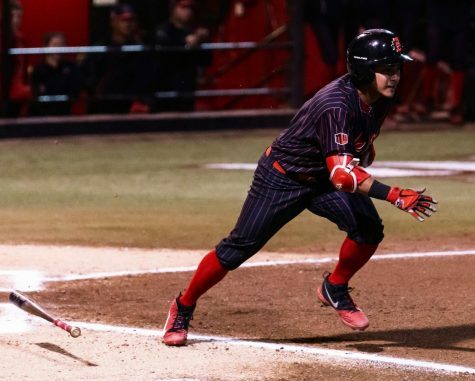 San Diego State softball was defeated by a score of 3-1 against Mountain West-rival Boise State University, due to critical errors late in the game Friday evening at SDSU Softball Stadium. 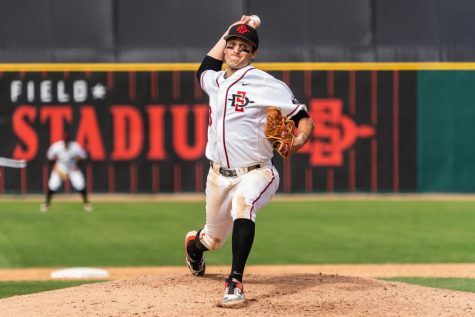 Just a day after the Aztecs (10-22, 1-4 MW) defeated the Broncos (22-11, 5-3 MW) by the same score to begin the weekend series, the team had too many errors at the top of the seventh and eighth inning that cost them the game. 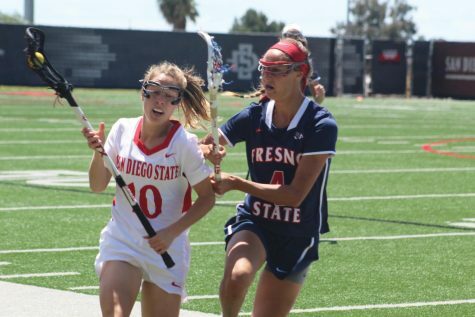 The Aztecs took a 1-0 lead in the bottom of the sixth inning after junior outfielder Aris Metcalfe stole home, following a steal attempt of second base from sophomore shortstop Shelby Thompson. Thompson, who successfully stole second base, was initially caught in a run-down, but was able to evade being tagged out long enough for Metcalfe to score the leading run. 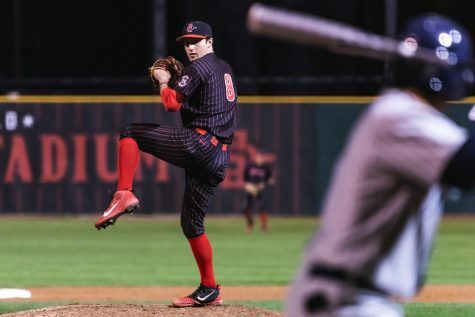 SDSU was then one out away from winning the game, before a mishap by senior pitcher Alex Formby, who was unable to field a comebacker with two outs in the bottom of the seventh inning, allowing freshman infielder Justene Molina to score from third base and tie the game. The Broncos would go on to score again in extra innings, after sophomore outfielder Megan Smith misplayed a ball in right field which allowed junior infielder Rebekah Cervantes to get all the way to third base. Cervantes would go on to score following a foul out from junior catcher Morgan Lamb, before a home run from sophomore infielder Jessica McKay extended Boise’s lead to 3-1. 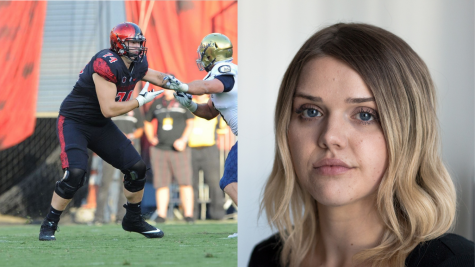 Junior pitcher Julie McDonald, who has struggled with injury this season, was starting only her fourth game for the Aztecs, and was making her first start since Feb. 14. 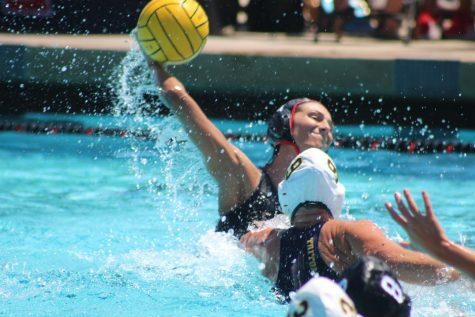 Despite the tough loss, McDonald said she “felt great” to be back. 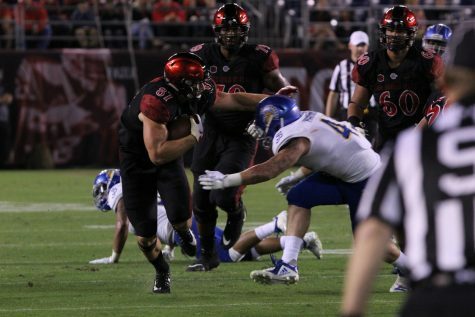 “I just wanted to be as confident as possible for my team because they’ve been doing a good job so I wanted to come out strong,” McDonald said. 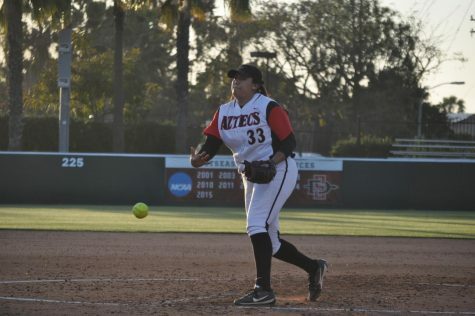 SDSU head coach Kathy Van Wyk said that it was good to have her starting pitcher back out on the mound to start the game. Van Wyk also said that they are getting good pitching, good defense, and runners on bases, however not getting hits when they need them. The Aztecs will finish off their weekend series on Saturday afternoon against the Broncos, with the game set to begin at noon.